Italian-born Francesco studied law, and worked as a lawyer in China, before launching a career in boulangerie. After graduating with his Le Cordon Bleu Paris Boulangerie Diploma in 2016, he began gaining professional experience at Maison Kayser before moving on to Claire Damon's boulangerie/pâtisserie "Des gâteaux et du pain". I love the whole range of jobs in boulangerie, because they are really hands-on and require a great deal of precision when making the recipes, and repetition of techniques, especially shaping, to achieve perfection. 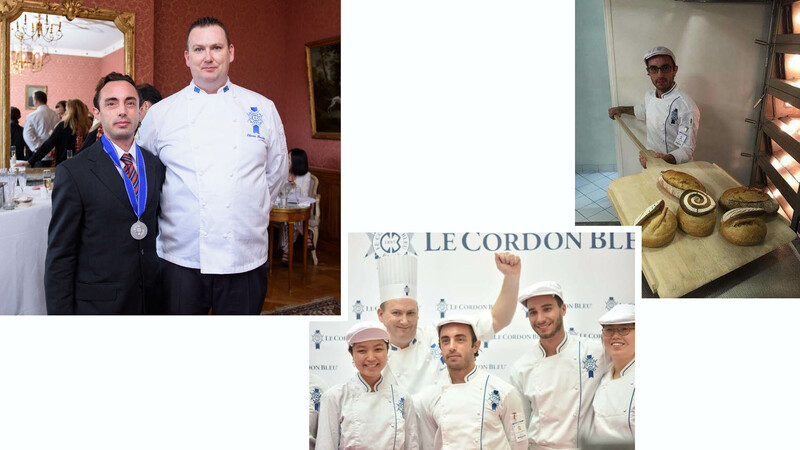 The framework and recognized Instructors (Chef Olivier Boudot for boulangerie), the infrastructure, the working conditions and top of the range facilities which are essential. My background is somewhat unconventional. I graduated with a Masters in law from the University of Rome in 2006 and have international experience, having lived and worked in China as a legal consultant from 2006 to 2010. When I arrived in France, in 2011, I started working for vente-privee.com as a customer service advisor then logistics assistant. My time at Maison Kayser gave me the necessary experience to be able to participate in all the production steps needed for producing very high quality bread and boulangerie products, at a rapid pace (2500 to 4000 baguettes/day). We make large quantities for events (Roland Garros 2016 for example) but also for a demanding clientele (The Royal Monceau, Hôtel du Collectionneur, the Molitor). Today, I work at Claire Damon's "Des gâteaux et du pain" (Top 10 of the best boulangeries in Paris) where I increased my knowledge and perfected my skills in the fields of long fermentations and natural leaven to achieve products with character, exceptional quality and which are unique in terms of both texture and taste. You must be passionate and really enjoy what you do. I plan to carry on training and increase my knowledge with professional programmes and extra modules (innovative techniques, never before seen methods). I also aim to participate in competitions and events for bakers and to take other specialized diplomas (Qualifications + Brevet Professionnel (Vocational Diploma) and/or Brevet de Maitrise (Advanced Diploma)).